Travelling In Singapore Easy Without A Car? When I speak to many of my overseas friends, I start to realise from their conversations that a car is a ‘need’ more than a ‘want’. This comes as a result of how vast their hometowns are — a regular Saturday morning to the strip mall would warrant a 20-minute drive and that is with smooth traffic conditions. Because of that, a car is much more affordable in terms of the savings in time to wait for public transportation and the convenience that one gets from it. In Singapore, the same cannot be said the same as car ownership has been made secondary. Started in 1990, the government had implemented a quota limit on the number of vehicles allowed on the roads to curb vehicle ownership. Since then, the cost of owning a car has significantly increased into the six-digit range. To make travel affordable, the city-state has made public transportation a priority and at any time of the day, it is easy to get from point A to B in a matter of minutes. Aside from cost, a car is made unnecessary because of how small the island is. Looking to get from a neighbourhood to another, it wouldn’t take more than 15 minutes by bus. Travelling from East to West? That wouldn’t take you more than an hour on our ever-present train service. 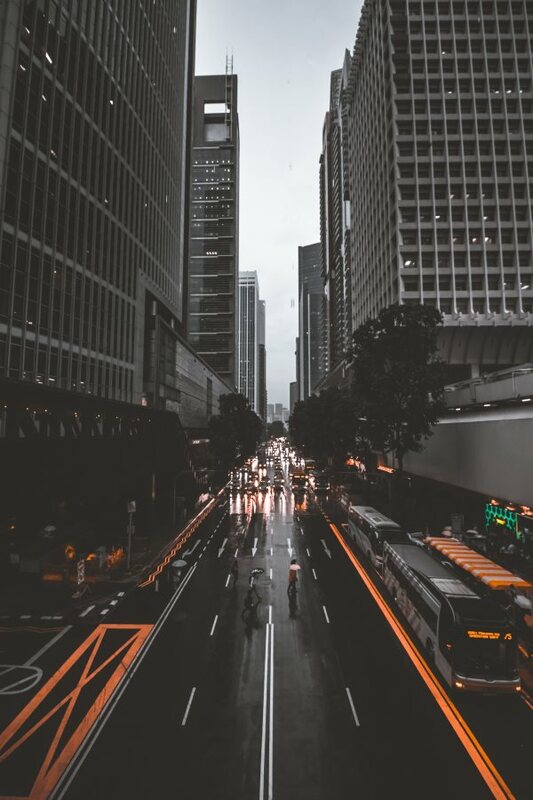 Read on to find out more about the efficient public transport system in Singapore and why you should make this city-state your home. Now with five different train lines and three in the construction and planning stages, the mass rapid transit is one of the most efficient ways of getting around town. Did you know that each day, the trains service about 3.1 million riders? And that is not even taking the light rapid transit ridership into consideration. Why the MRT is such a popular choice of most commuters is due to the accessibility of stations at almost every corner of Singapore. If we were to play the numbers game, there are 119 MRT stations in operation across the North East, Circle, Downtown, Circle and the East-West lines. Want to get from Changi airport to the central business district? There are two lines that would take you there within the shortest amount of time possible and all that without traffic jams or stoppages. The public buses are yet another reliable mode of transportation in Singapore just because they are seen about anywhere. Even in the industrial areas of Singapore to the outskirts of town, you would find these double and single-decker buses plying the streets, ferrying passengers to their destination with Mr Bus Driver at the helm. Starting from half past five in the morning to slightly after midnight, these buses have an extensive network of routes to get Singaporeans around town. On certain nights like weekends and the eve of public holidays, there are extended night bus services to take the midnight crowd home after a fun night of revelling at an affordable fare of $3. You might think most of us have built a love-hate relationship with our bus services due to how unpredictable in their time of arrival. But with the input of smartphone applications which inform us of their exact time of arrival and an estimate of how crowded each bus might be, that waiting time and ride is made so much more bearable now. Like the yellow tops in New York or the London Cab in the United Kingdom, our cabbies have their fair share of popularity too. This is because of the ease of getting a cab by flagging off the streets. Regardless of which taxi companies you go for, all of them provide that same speed and comfort in getting you to your destination. Our taxi drivers, in particular, are knowledgeable about Singapore’s roads and are walking maps, and some would be more than happy to share a fun story or two about their daily lives (if you are willing, of course). If you are used to taking Uber or Lyft in your hometown, you would have no problem acclimatising to our habit of engaging the services of private-hire vehicles. With just a few simple steps on the app, your ride, driven by a friendly driver to boot, would arrive at your doorstep in a matter of minutes. Because of how convenient it is to get a ride and how affordable they can be, most of us utilise these services on a daily basis. However, the caveat is that the price of a ride might spike two or three folds especially when the demand is large in a particular area. If you are at the CBD during peak hour, you might have to foot a huge chunk of change out of your pocket for that convenience. To put things into perspective, getting around Singapore without a car is easy because of the number of options we have on our hands from the trains, buses, taxis and private-hire vehicles to get us to where we want to go. If you are looking for a cost-effective way to travel, the buses and the trains are the way to go and all you need is an EZ-link card with some cash stored in it. On the occasions in which you are pressed for time, the taxis and private-hire vehicles would be helpful in your time of need. Either way, you would never be stranded in Singapore without a car.